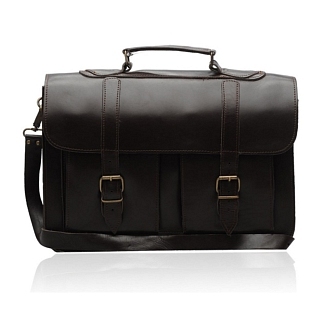 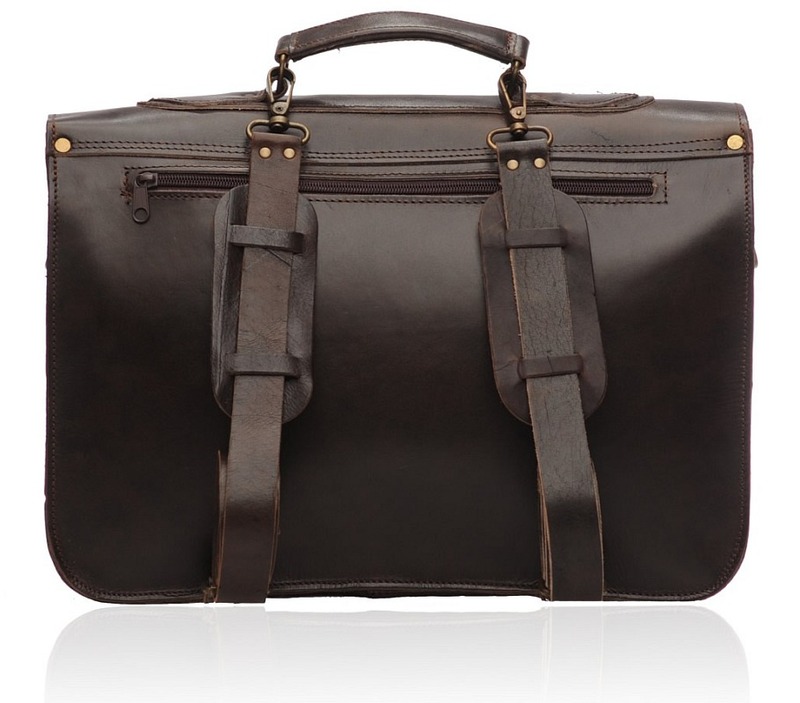 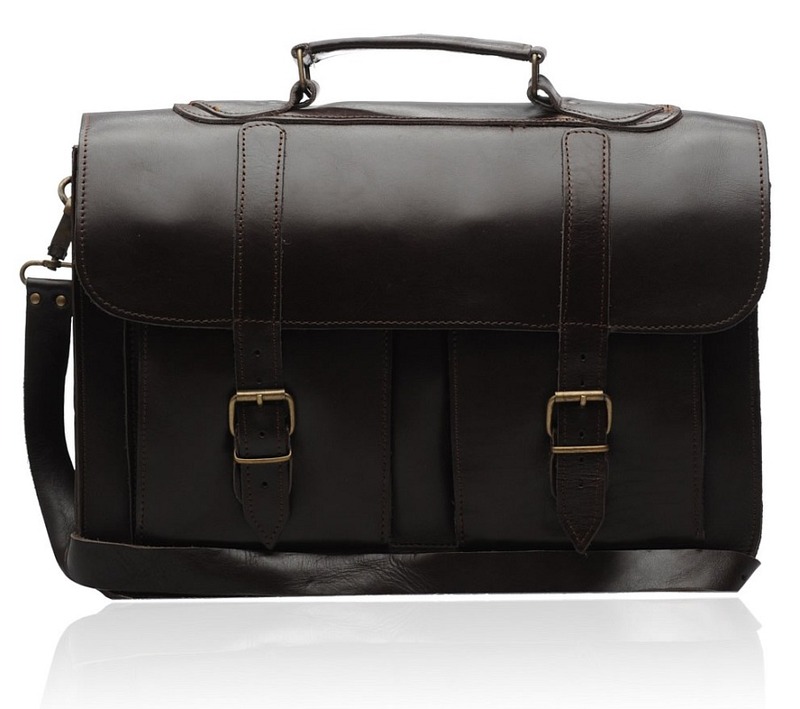 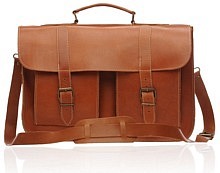 The COLLEGE dark brown is one of the finest leather briefcases to come out of our Old Post collection. 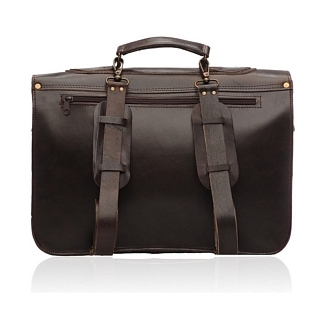 It features a beautiful texture of dark brown which is dyed on pure calfskin leather, providing stunning looks when in hand. 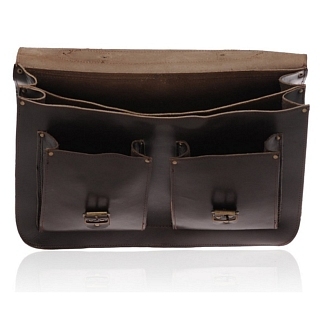 Despite the heavy focus on design, the bag does not fall short of space. 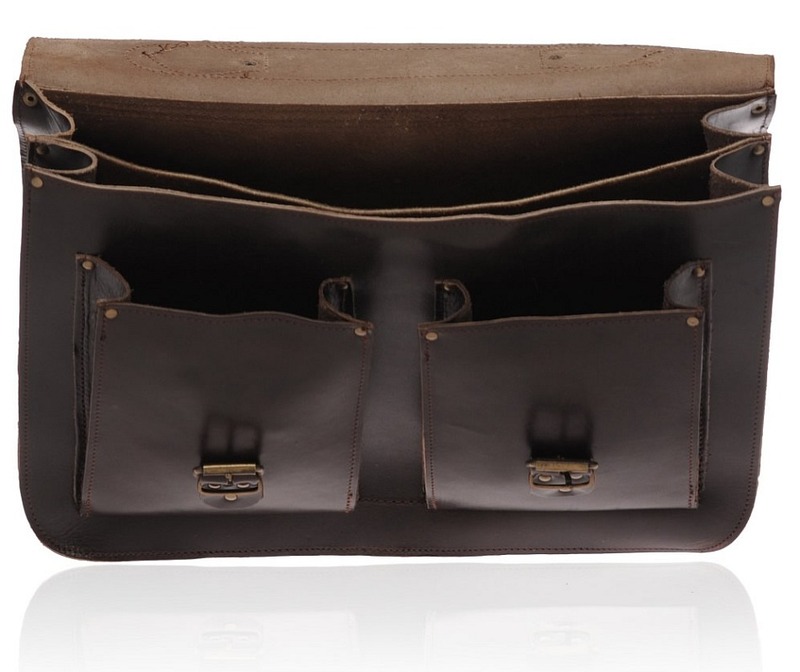 There are two major compartments, while a couple of pockets are located on the front as well and a zipped pocket behind. 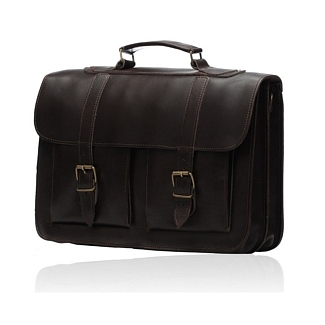 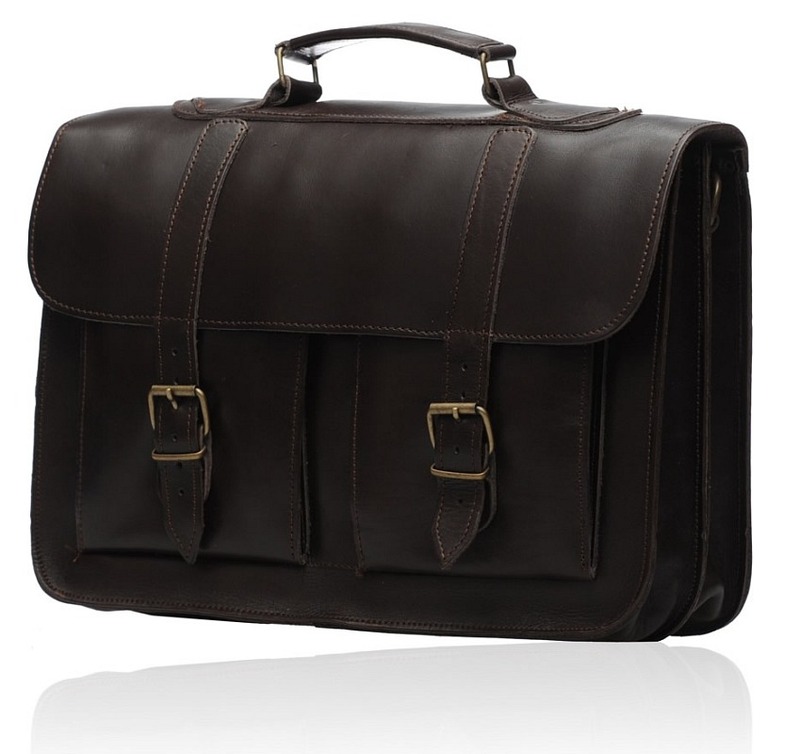 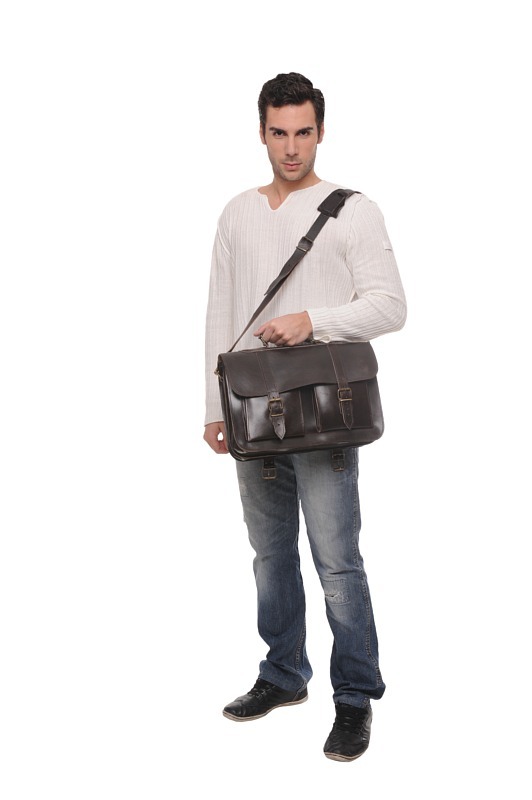 This dark brown briefcase comes with a matching shoulder strap that can be used to carry the bag on your shoulder, while there are dual shoulder straps located at the back as well.